Official voyages and expeditions as well as solo or private travel accounts. Historic and modern, personal and official. The Memorial Edition of the Works of Captain Sir Richard F. Burton edited by his Wife. 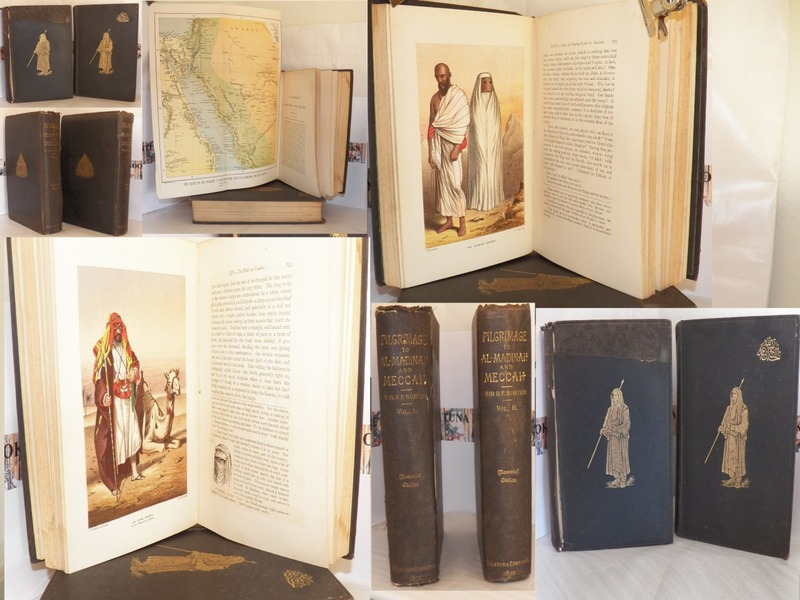 Victorian travel in Arabia with much discussion of the customs and habits of the Muslims. vol 2- corners rubbed, grease mark to top corner of first and last few pages, Victorian Private Library stamp to first page, some light handling wear to boards, xiv,479pp + 8 plates (3 coloured, including coloured frontspiece portrait of Burton with tissue guard), 1 folding plan ( with lib stamp on verso) and 20 illustrations, including a small plan in the text, a good set but vol 1 could do with a little restoration. $300 heavy set please email for postal quote. 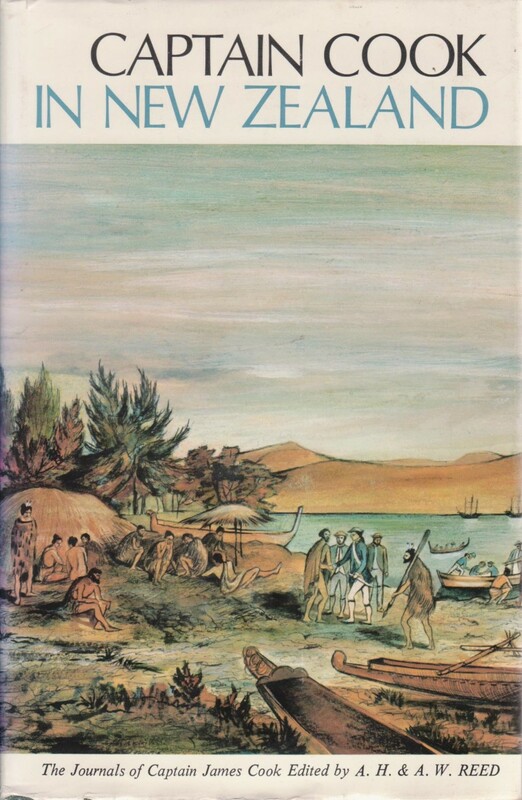 Extracts from the Journals of Captain James Cook Giving a Full Account in his Own Words of his Adventures and Discoveries in New Zealand. Reed 1969 reprint of Second Edition, 262pp+ plates and folding map. 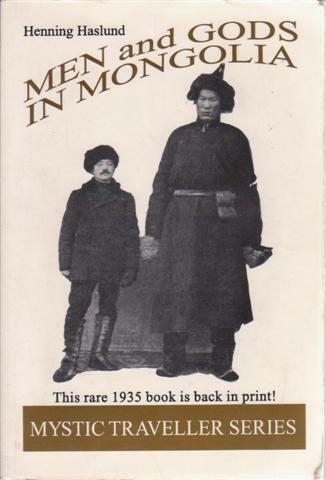 First published in 1935, this book takes us into the virtually unknown world of Mongolia, a country historically cloaked in secrecy which has only recently opened up to the west. Henning Haslund was a Danish adventurer who accompanied Sven Hedin and other explorers into Mongolia and Central Asia in the 1920s and 30s. Haslund takes us to the lost city of Karakota in the Gobi desert. We meet the Bodgo Gegen, a god-king in Mongolia similar to the Dalai Lama of Tibet. We meet Dambin Jansang, the dreaded warlord of the 'Black Gobi'. There is even material in this incredible book on the Hi-mori, an 'airhorse' that flies through the sky and carries with it the sacred stone of Chintamani. Aside from the esoteric and mystical material, there is plenty of just plain adventure: Haslund and companions journey across the Gobi desert by camel caravan; witness initiation into Shamanic societies; meet reincarnated warlords; and experience the violent birth of 'modern' Mongolia. VG softback with light wear at corners. Hidden behind the Himalayas and ruled over by a God-king, Tibet has always cast a powerful spell over travellers form the West. 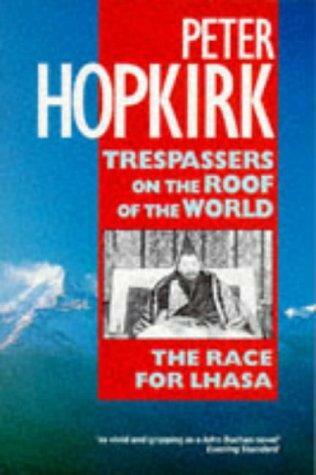 Hopkirk recounts the forcible opening up of this medieval land during the nineteenth and twentieth centuries, and the extraordinary race between agents, soldiers, missionaries, mountaineers, explorers, and mystics from nine different countries to reach Lhasa, Tibet's sacred capital. Concludes with the Chinese invasion of 1950. Oxford University Press 1983, 274pp.